You can get a quote, buy our event insurance policy and email Proof of Insurance in minutes. Your policy and Certificates of Insurance are available immediately after purchase for you to view, print, and email proof of insurance directly to your event site. Our coverage is accepted by 99.9% of Event Locations. Most of them know us because we’ve been insuring events for over 25 years. Our online system guides you step by easy step through the short application. 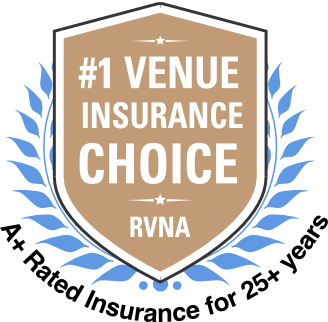 We make purchasing the best event insurance easy.